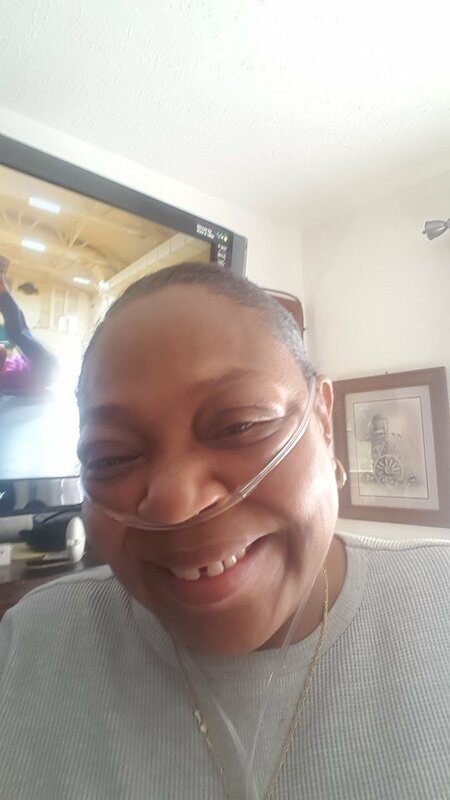 Vicky Lynn Terry-Keene is a 57-year-old woman who is very ill. After years of struggling with Chronic Obstructive Pulmonary Disease (COPD), a lung transplant is her only hope for survival. Vicky is one of the kindest and most loving people you’d ever hope to meet and she needs our help. The cost of the transplant is overwhelming. Vicky grew up in Saint Albans West Virginia and attended Saint Albans High School. She graduated as a sixteen-year-old mother and wife. By the age of nineteen she was a single parent working labor intense jobs as a coal handler, railroad brakemen, barge handler, and heavy equipment operator for 13 years until she had a crush injury to her right arm and hand in the coupling of two railcars. She was then forced to leave the labor field. She didn’t let that make her a victim. She then attended West Virginia Junior College earning her Associates Degree in Business. Administration/Management/ Accounting. She worked for several years in her field and then returned to her college as an Adult Admissions Representative then a High School Admissions Representative for 11 years until the disease forced her to retire and go on disability. Vicky raised her two children alone and remarried after they graduated high school. As part of a blended family, she now has 5 adult children, 9 grandchildren, and 7 great grandchildren. Together, Vicky and her family are committed to seeing her through this transplant. Transplants are life saving but financially draining. Even with insurance, Vicky is facing very high expenses including relocation for a minimum of 3 months to be closer to the University of Pittsburgh Medical Center, post-transplant medications of up to $5000 a month, co-pays, lab fees, and more. To help with the financial burden of uninsured expenses, a fundraising campaign has been established in honor of Vicky with Help Hope Live, a trusted nonprofit organization that has been providing community-based fundraising guidance to help patients and families in need for more than 30 years. All donations are tax deductible to the full extent allowed by law and are held by Help Hope Live in the Mid-Atlantic Lung Transplant Fund in honor of Vicky Keene. Donations are allocated by Help Hope Live based on financial need for medical expenses. Please consider making a contribution today. I need my friends and family to post my fundraiser. If you would like to have a fundraiser for me. I can give you my Helphopelive coordinater’ s information and she will work with you. Her info is below. Thank every One for there donations. Merry Christmas and a Happy New Year. WV needs more people like you who build community and celebrate diversity. Hey Vicky. I hope this helps in anyway. I love you and I'll be praying for you.